Enjoy footage from the UWCL quarter-final match between the Catalan and French teams. The arrival at the Miniestadi, the warm-ups, post-match... don’t miss it! 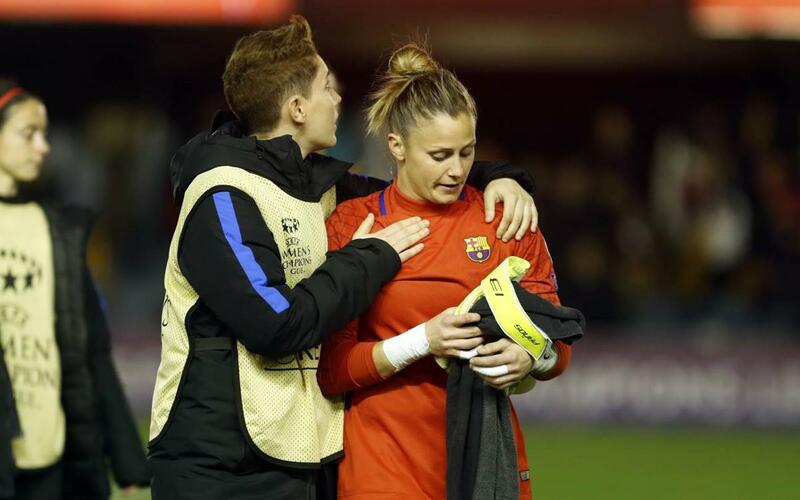 FC Barcelona Women couldn’t complete the dream and ended up falling short in the UWCL quarterfinal match against Lyon (0-1). Even so, they fought until the last moment against the current European champions, and a record attendance at the Miniestadi, 12,178 spectators, watched the game. In the following video, we take a look from the inside at how the day unfolded. The arrival of the players at the stadium, the warm-up of both teams, the spirit in the dressing room, the most important details of the game, post-match statements, the players from Barcelona sharing gifts and taking pictures... don’t miss it!